Are you an wanting to build the skillsets to make you less likely to be a target? Give us a call at Smoky Mountain Self-Defense, where we can help you to cultivate those skills allowing you to be more prepared for the real world. 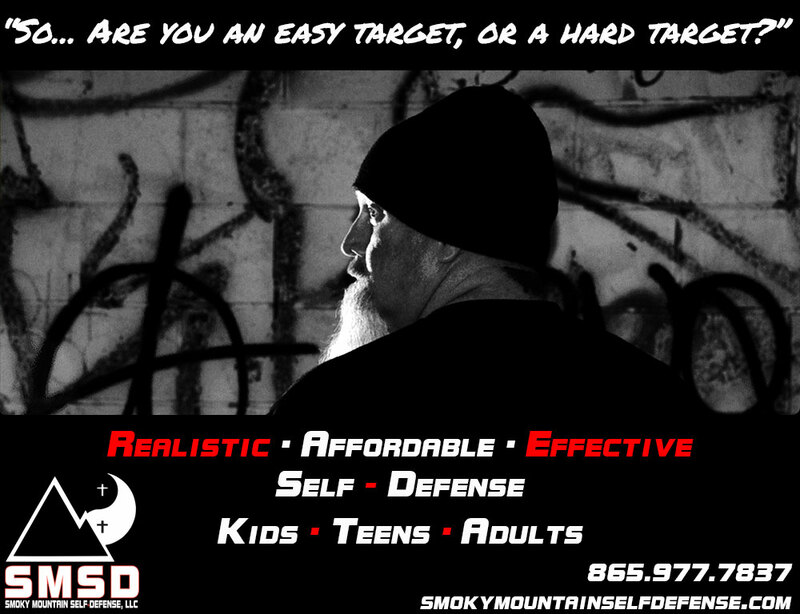 Smoky Mountain Self-Defense offers realistic, affordable, and effective self-defense to kids, teens, and adults. We also offer Women’s Only and Workforce Seminars.